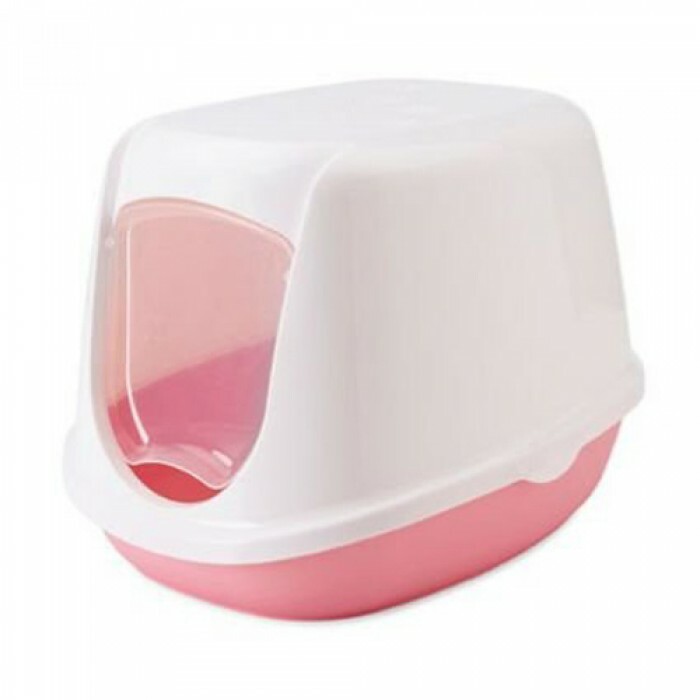 Product Details - Material - Plastic swing Door, Use -A perfect starter for kitten toilet training Toilet home, Suitable - kittens and small cats, Colours-Baby pink. Product Information-Toilet home for kittens and small cats with plastic swing door. Duchesse is a perfect starter for kitten toilet training. The toilet design is cute and friendly and finished off with cat paws on hood. The gap in the door invites the kitten to enter the box. Available in kitten friendly colours - white, baby pink and white, baby blue.